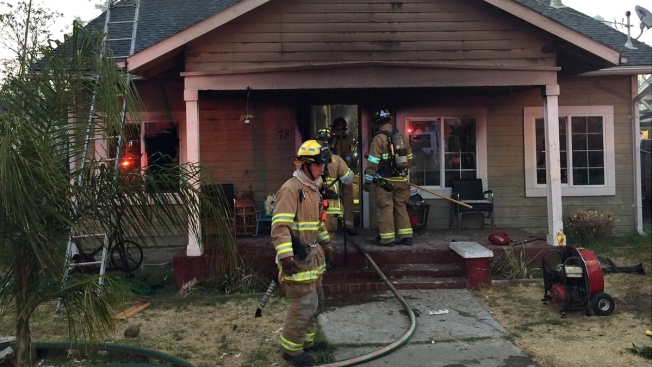 A Pittsburg police officer cut his hand while rescuing a blind man who was trapped inside his burning home on Wednesday evening, Contra Costa County firefighters said. The officer suffered a severe cut on his forearm by falling glass and the man suffered serious smoke inhalation injuries, firefighters said. The two-alarm fire, reported at 7:20 p.m. near West 11th and York streets, was extinguished and is estimated to have caused about $202,000 in damage.